THE B-MOVIE NEWS VAULT: STOCK YOUR VAULT: New DVDs & Blu-rays for 07/24/2018! STOCK YOUR VAULT: New DVDs & Blu-rays for 07/24/2018! Welcome to yet another edition of the our world famous (not really) STOCK YOUR VAULT! This week is light on new releases, but makes up for it in quality! 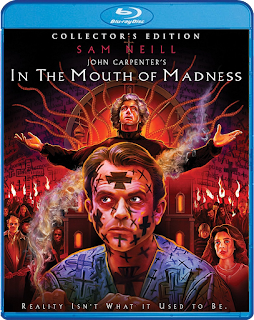 Scream Factory inches closer to releasing all of John Carpenter's films with their new Blu-ray releases of IN THE MOUTH OF MADNESS (COLLECTOR'S EDITION) and MEMOIRS OF AN INVISIBLE MAN! Not to be outdone, Lionsgate's Vestron Collector's Series adds two H.P. Lovecraft-inspired titles to their catalog, namely BEYOND RE-ANIMATOR and DAGON. Warner Archive Collection debuts SUPERGIRL on Blu-ray, MVD Rewind Collection adds WINDRIDER to its eclectic cult lineup, and Arrow Video brings the time-travel adventure THE NAVIGATOR: A MEDIEVAL ODDYSEY to high-definition! The rest of this week's release slate is made up of direct-to-DVD schlock, Olive Films' STREETS OF VENGEANCE, and one of my fave big-budget releases of 2018: READY PLAYER ONE! 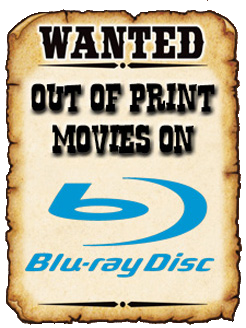 To see the full list of this week's new DVDs & Blu-rays, continue scrolling Vault Dwellers! Umbrella Entertainment's July 2018 New Releases!